your sharable words stifle my every fear of being too intransigent, and strengthen me in the practice of always being cautious, refraining from writing about th ething that might offend someone or does not go very well with my taste. I welcome your invitation to try my hand in drafting some comments on the drama of Bo, posting them when the work commitments will allow me it. For the next episode we will have to wait only for a few hours, but yesterday some bts havebeen released. I'am posting one particularly warm: Bo Gum dancing the salsa: very hot! And in the second, he is a warm handsome man. I'm so happy that this thread keeps moving. Thanks everyone for all your updates . Its also good to see some discussion which is just normal and healthy. Im a KYJ fan but at the same time a "BoYooholics" as well ...but like everyone else, I have limitations too. I support these two whoever will be their future partner in a drama (but always hoping they will have another one ) but to be frank, one tend to favor one than the other (and its the truth no matter how we deny ). KYJ's CWPFN drama is really good, I must say. Its hilarious, funny and gives you so many feels. For Encounter, I haven't watch it yet but reading from all the feedbacks its seems like its doing really great knowing both lead actors have bigger fans. So happy for Bogum. All I wish is that our Boyoo's current drama will be a success. #BoyooFighting! All I wish is that our Boyoo's current drama will be a success.﻿ #BoyooFighting! There are roads I want to take when I am told not to. There are people I want to see when we agreed not to. There are things I want to do more when I am told not to. That is life and yearning. So well said .......... IF they are really in a relationship, then let Jin Hyuk's free unconventional spirit be in PBG to boldly declare his love in that "right time" just as JH did for CSH in ep 4! CWPFN and Boyfriend are 2 Totally Different Genres projects ..... wishing them success in their own rights! The latter is already gearing towards its expectations. Good start to the week... Our guys are great professionals and they are both working hard..
CWPFN will be broadcast on Netflix in December (source: www.koreaherald.com)... Fighting YJ! Look at it, a nice video made by a real BoYoo .. Thanks!!! Hi, yesterday CWPFN upped the rating - 3.5% Nielsen Korea (record-high)- Come on, YJ, keep it up! After only half an hour (at 9.30 pm) the fifth episode of Encounter will air! 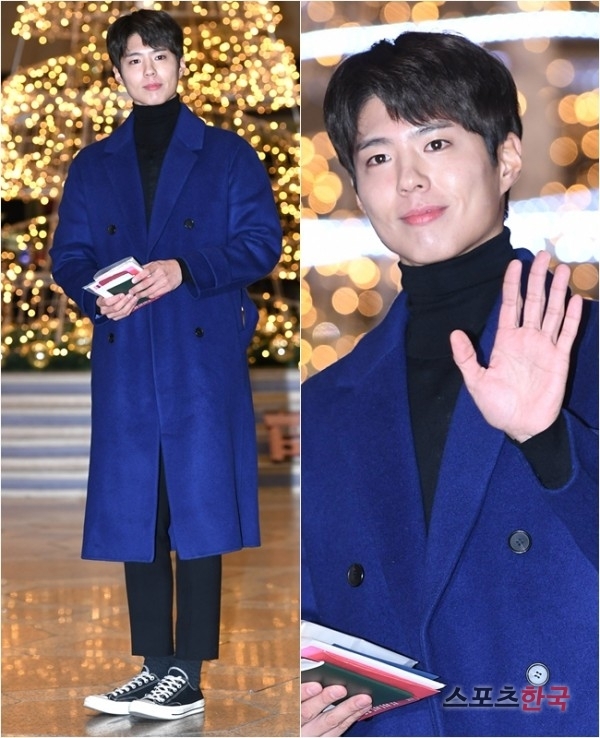 So good luck to you, Bogummy, for everything! Please let us enjoy which ever drama that you like of theirs and lets stop talking about their costars.....Let them do what work that they like...whoever they have to work with...it is just their job to act with whoever they have been paired up with by the production company. I have not seen any crazy fans like this in any other like Hollywood/Bollywood/ japan ent....why only in Kent we are so much into this???? Waiting, a step back, our favorite MC to MAMA, left without paroles, also with a destructured clothes or a perfect suite... but how wonderful and fascinating was he ??? This episode made me think why Kim yoo jung picked up this drama. I am finding it boring now. The storyline richard simmons me. Kim yoo jung could have chosen better script. I read something that hurt me on instagram, a fan, referred to a couple on the screen, said it was better than BoYoo ... Why having to do some comparisons at all costs? Let everyone love those who prefer ... I love the BoYoo couple, but I'm fascinated by how, by immersing myself in a story, it's easy to separate love for them from that for a couple of characters... Well, maybe the secret for not doing mistakes is to make this separation in the mind... I will conclude by saying more than ever I'm convinced to move forward updating this forum!!! So well said and good observation ........ bottomline is the level of maturity of the fans bias or otherwise. Like what you have said - what are the audience/fans focusing on? One watch the drama is to understand what story it is telling the audience and not picking the artistes to make comparison?? And certainly not every script is good in itself. Yet I loved this moment, his gaze ... it melted my heart! The fact is that there is probably nothing that someone haven't already done before... Should we stop seeing films taken from a good novel because we already know the ending? I did not like the ending of the Harry Potter book and yet I saw the movie ... No, what matters is the way in which a story is transposed, because if it is done well and the actors are good, then we are so immersed in story that we try what they feel ... this is the beauty of cinema, is not it? let us forget for a moment who we are and where are to we are to transport us elsewhere... it's movie magic! Should we stop seeing films taken from a good novel because we already know the ending? I didn't know my comment of the predictability and cliches of the dramas have led to mis-interpretation and misunderstanding of what I meant. My apology, I should have rephrased it better. Despite the aforementioned, I too still watch it because like what you have said it is the way how the story is transposed and when the artistes are able to immerse in its role, it makes the characters become real to the viewers. have led to mis-interpretation and misunderstanding of what I meant. My apology, I should have rephrased it better. In some ways, Jin Hyuk is like our prince, a knight who fights for his ideals and who only wants to defend his person from the pain of life ... Who would not want a boyfriend so, close to herself? But I'm really anxious that even the next episodes can make me tremble ... Her mother-in-law is very bad and her ex-husband has maneuvered in the shade ... I'd like a good ending!